Articles, activities, ideas, and tips to help you make the most of the preschool years, where learning happens at every turn. 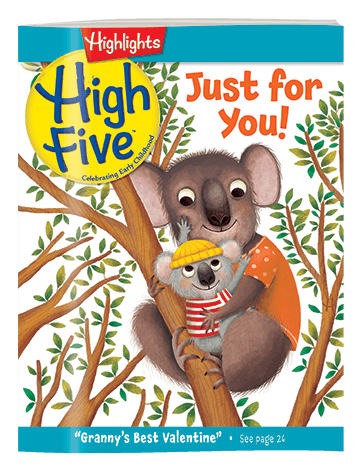 Send us a photo of your High Five reader doing a craft or making a recipe from High Five magazine. We may publish it inside High Five magazine, in our newsletter, on our social media pages, or right here!